Three Eckersley O'Callaghan engineers have picked up prizes in The Engineering Club's annual sketching competition. Minxi Bao, Project Engineer, received a Commendation for Digital Sketching for a group of hand sketches that were completed using a digital sketching app in an iPad. 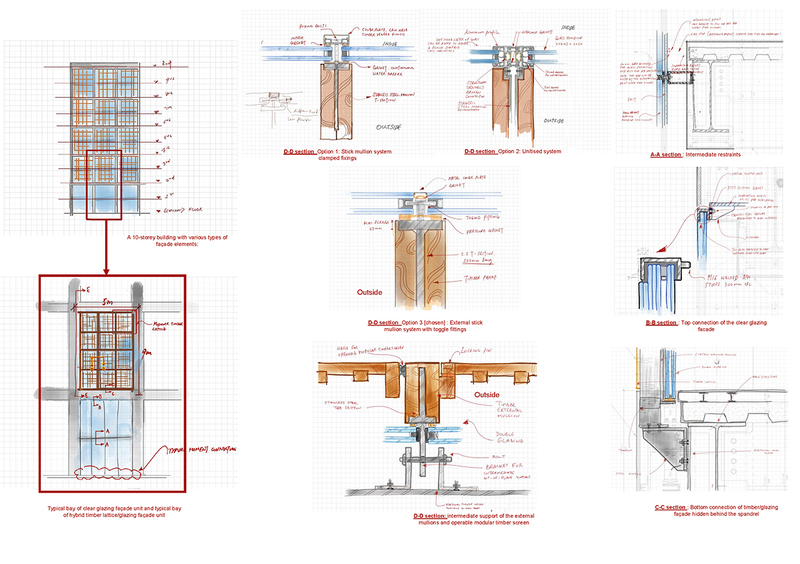 The sketches describe key interface connections of the external facade of a 10-storey building in Japan. 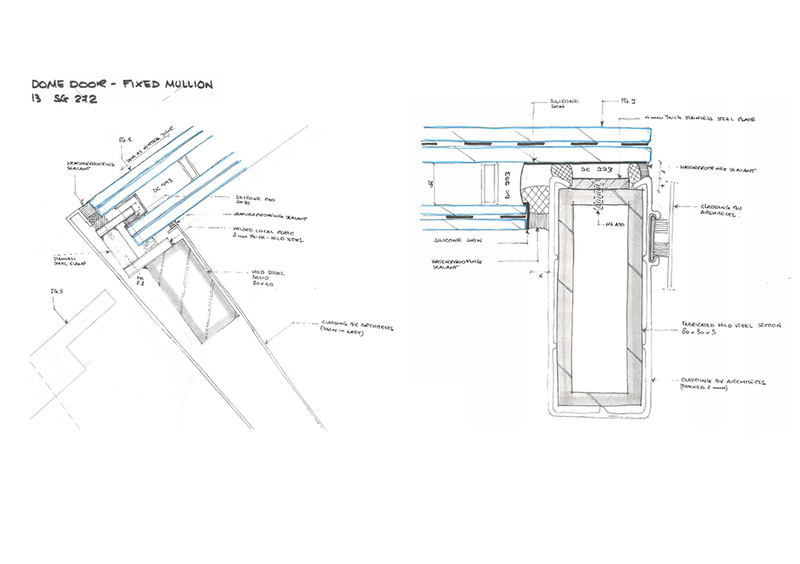 Another EOC Project Engineer, Lorenzo Santelli, received a Commendation for Detail Sketching, with his drawings of a glass door. 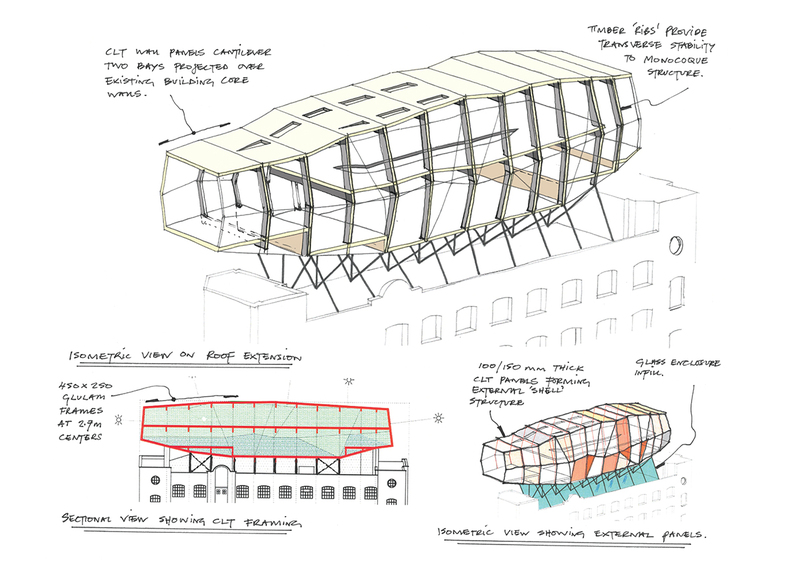 Associate, Duncan Walters' drawing of a timber roof extension received a Commendation in the Concept Sketching category.